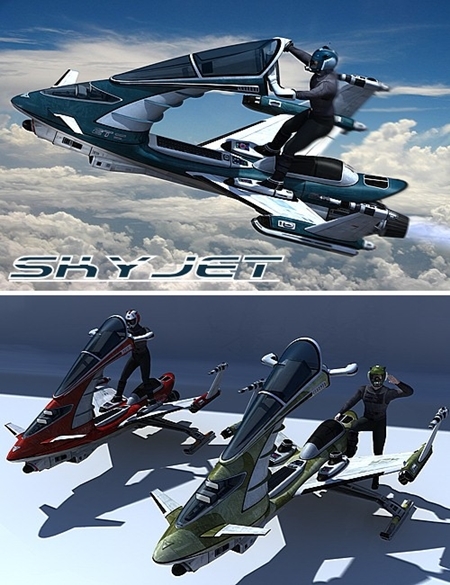 The Skyjet is a personal flying vehicle. 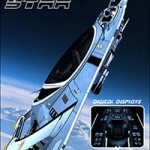 The package consists of the 3d vehicle, the sky-helmet and 3 different sets of textures (MAT poses) for the ship and for the helmet. The human scaled Skyjet has pose-able parts among which includes retractable undercarriage, linked control steering/flight controls surfaces, retractable pilot seat, engine variable angle exhaust, adjustable feet restraint devices and the sky-helmet aerials. The tip wings guns can be made invisible for an unarmed version. 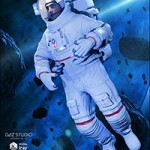 Bonus: The package also includes pilot poses for Michael 4, Victoria 4 and the new DAZ Studio 4 Genesis character. 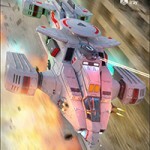 (Human characters in promo images are not included in the package).